Travel credit cards are an important component to have when traveling. It allows you to have the means of paying for things you want without having to worry about carrying cash. There are a lot of different cards out there, which means you have to know about the best travel credit cards in India, especially if you want to earn air miles. When you decide to look at a travel credit card, there are a lot of factors you want to consider. One of the first is in which Frequent Flyer Program (FFP) you are earning air miles to. There are plenty of different airlines and you want to make sure that you are earning on an airline that you use frequently. Identify how many air miles they will pay you for every INR 100 that you spend. You want to try and get as many air miles as possible. Additionally, you want to look at whether the credit card provides you with additional air miles if you purchase within a certain category, such as with the airline or a specific hotel chain. You want to look at whether there is a joining fee, an annual fee and what the interest rates are. This will allow you to identify what the cost is going to be to have the travel credit card. Finally remember, if you are looking to apply for a credit card in India, you will need to apply for a new PAN card. The Axis Bank Miles & More World Select Credit Card allows you to earn unlimited miles on Lufthansa’s FFP. You will earn 3,000 welcome miles as well as 2,000 word miles upon activation as soon as you reach a threshold of INR 50,000 within the first two months after the card has been issued. The miles can be redeemed for flights and upgrades, hotel nights, shopping, car rentals and even be sent towards a good cause. There is a joining fee of INR 2,500. The card also features a high security level with the EMV certified chip credit card. The Standard Chartered Emirates Platinum Credit Card allows you to join Emirates Skywards, which is the frequent flyer program for the airline. All of the miles you earn will be towards that specific airline. You will also have Priority Pass membership into the VIP airport lounges. You will earn 27,500 bonus miles upon joining and these can be redeemed for flights, upgrades and more. For every INR 150 spend, you will earn 4 Emirates Skywards miles. 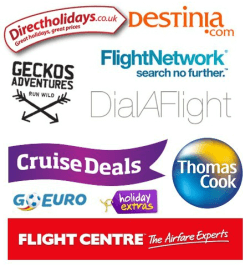 Travel insurance is also provided on the card. The annual fee will vary based upon the specific card that is obtained. The annual fee will also increase from your two onwards in many instances. The ICICI British Airways Premium Credit Card is linked directly to British Airways, so you will be able to earn miles towards free fight and upgrades with British Airways and One World Airlines. You will receive 8,000 bonus miles the first time you use the credit card. You will also earn up to 9 Avios per INR 100 that you spend on the card. The amount you earn will vary based upon where you use the credit card. You will also be able to earn 25,000 bonus miles when you book and fly a return ticket from India to London during the first three months of being a card member. There is an annual fee of INR 7,000, which is for the first year as well as every year onwards. There is no cost for a supplementary card. The interest will vary based upon the time that you apply for the card. The SBI Air India Signature Credit Card is liked with Air India. As you spend on the card, you will earn miles that are eligible for flights and upgrades on Air India and possibly Star Alliance airlines. You will earn 4 reward points for every INR 100 spent on the card. You will be able to earn up to 1 million bonus reward points every year. You will also earn faster when you spend money on Air India tickets. You will also have access to the international airport lounges in over 600 airports as well as complementary Visa lounge access in India. There is a one-time annual fee of INR 4,999 as well as a renewal fee of INR 4,999. You will get a welcome gift of 20,000 reward points and an anniversary gift of 5000 reward points every year. The American Express Jet Airways Platinum Credit Card provides you with miles on Jet Airways FFP. You will get a welcome gift of 10,000 bonus miles and a complementary visit to 15 domestic airport lounges throughout India. You will earn cash back at fuel stations. You will also be able to enjoy complimentary membership from preferred hotels and resorts. You will learn at a rate of 8 miles for every INR 150 spend for some transactions and 6 miles for others. The first year annual fee is INR 5,000 and then from the second year onwards, the annual fee is INR 10,000. In the end, you want to make sure that you take the time to compare the cards. Every card has its own unique features. You should choose a travel credit card in India that best suits your needs. Particularly if you fly one specific airline all the time, you might want to start their in terms of what they will provide you. Good that the post helps you. Few more cards can be added. One of which can be HDFC – BLACK. Do check it out. Thanks for the suggestion Sindhura, but I want to add cards where you can score miles in airline frequent flyer programs. Thanks for sharing very useful information for us, I really appreciate your wok. Please keep post regularly. Thanks for your nice words Anjali.